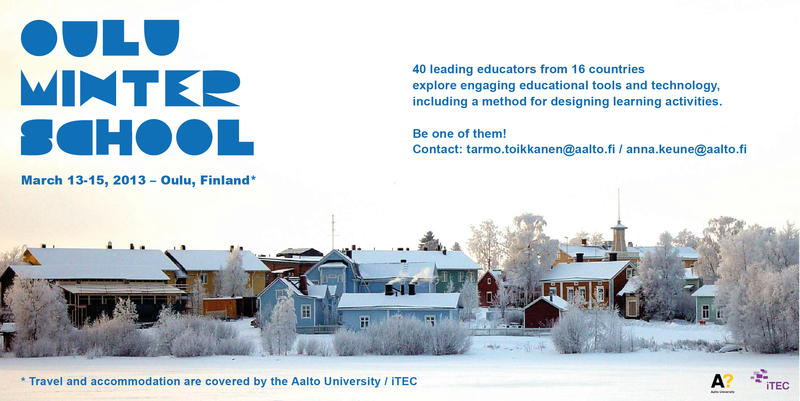 The Oulu Winter School is an exciting event that brings together teachers from all iTEC pilot countries to learn about a novel method of creating educational scenarios and turning the scenarios into realistic, practical learning activities. 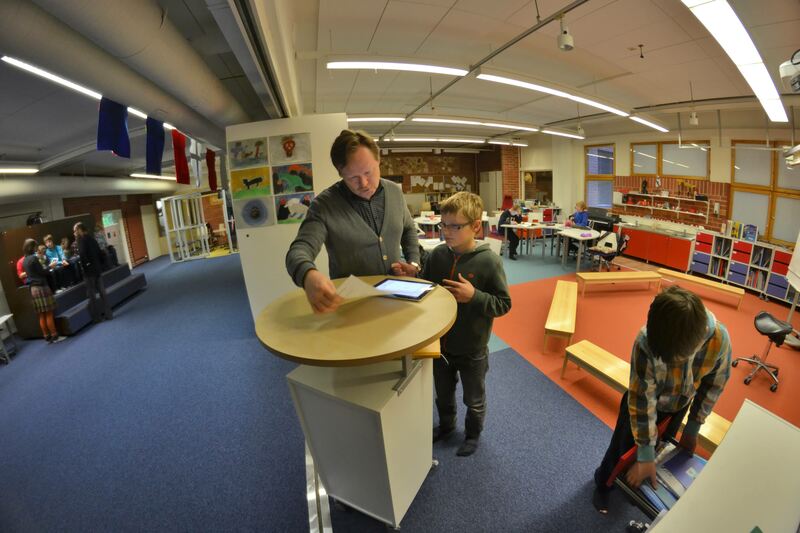 Set in the UBIKO, one of the most innovative school buildings of Finland and charged with the latest educational equipment, Winter School participants will also explore and experiment with state-of-the-art iTEC technologies for an engaging classroom. During a walk on the frozen sea, visiting Oulu’s artist district Pikisaari, and enjoying a traditional Finnish Sauna, there will also be time for international collaboration and networking. Two excellent teachers of each iTEC country are warmly invited to participate. Here is how it works: Each pedagogical coordinator of an iTEC pilot country suggests one excellent iTEC teacher, with fluent English skills, for the Winter School. This teacher then chooses a friend to bring along. The friend must also be a teacher with fluent English skills. It is not necessary, however, for the friend to have prior iTEC experiences. 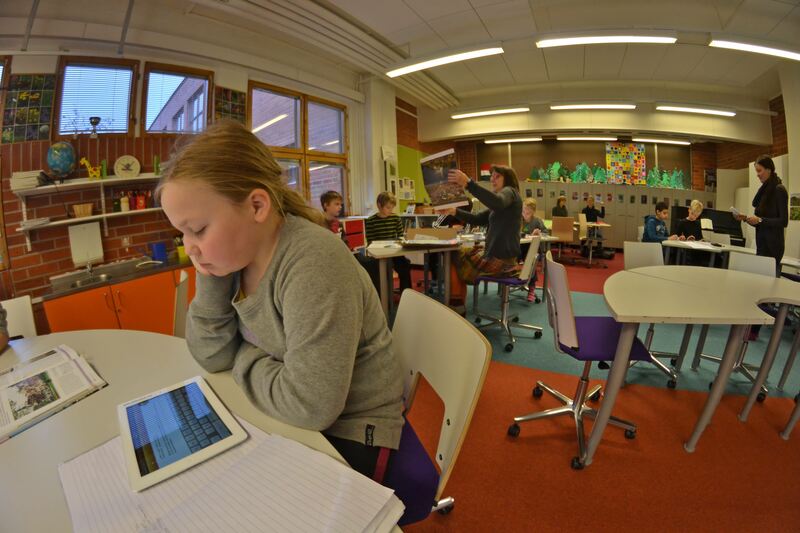 The travel and accommodation expenses of the teacher plus friend are covered by iTEC Aalto University. If pedagogical coordinators want to join the event, they are welcome, but their expenses are paid from their own budgets. To join, contact Tarmo or Anna. Thank you again for this great activity.